Lemon GreenTea: Traveloka has partnered with hundreds of local and international airlines and tens of thousands of hotels worldwide to give widest options and best prices. 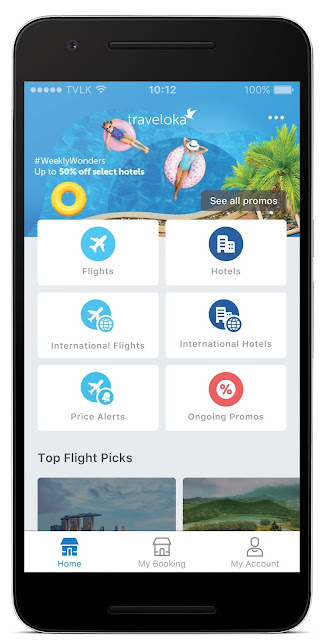 Traveloka has partnered with hundreds of local and international airlines and tens of thousands of hotels worldwide to give widest options and best prices. Traveloka, Southeast Asia’s leading travel booking app for domestic and international hotels and flights, is now available in the Philippines. whenever the prices match their budget via push notification and email, in a daily or weekly basis.